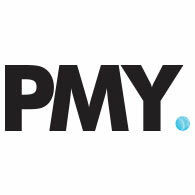 PMY is a specialist technology advisory, project management, and managed services organisation. We have unique expertise in major stadium, sport, entertainment, and public place sectors developed through the delivery of more than $200M of projects comprising IPTV, WIFI, Video Boards, Mobile Application, Data Platforms and other innovations. PMY is independent and works closely with its key clients to develop the strategy, evaluate cost, select suppliers, secure funding and commercialise these complex technology projects. Our vision is to use technology to bring major stadium and precinct assets to life in a commercially and operationally sustainable manner. We are proud that we have worked closely with many clients to assist achieve these objectives, including, Etihad Stadium, Sydney Cricket Ground, Perth Stadium, Westpac Stadium, Croke Park, London Stadium, and the Adelaide Oval.